Chino American Little League was incorporated in 1956. For nearly 60 years, we have continued to operate as a volunteer run, non-profit organization whose primary goal is to provide a quality experience for the youth of Chino. 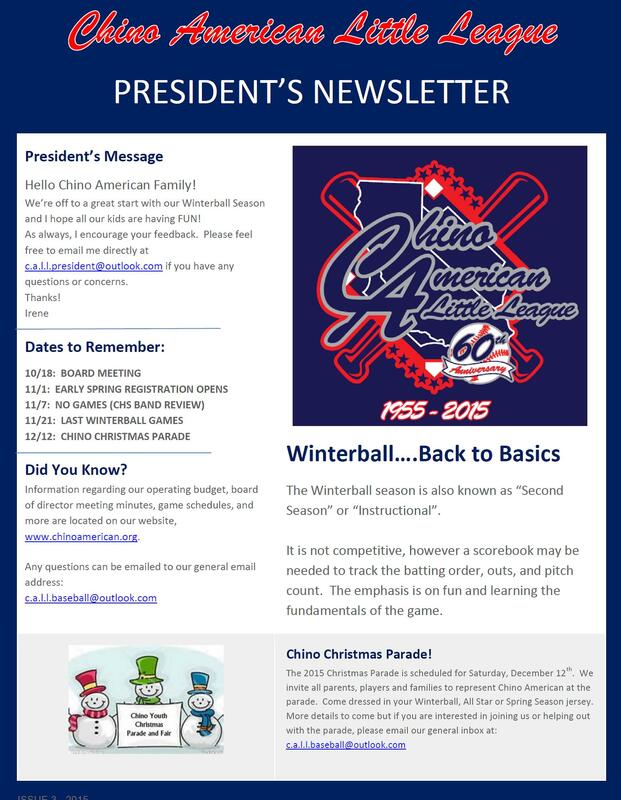 "Chino American Little League aims to provide an opportunity for children of our community to participate and learn the game of baseball in a fun, safe and engaging environment. Our goal is to encourage the importance of sportsmanship and friendly competition to build strong future leaders."